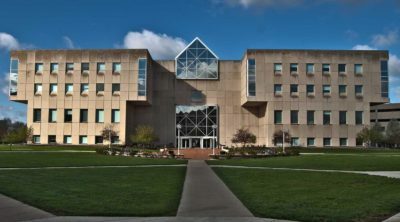 INDIANAPOLIS, May 22, 2018 (Newswire.com) – VUV Analytics, Inc. announced today that it will be hosting an executive roundtable at IUPUI focused on novel tactics being employed by forensic experts to combat the opioid crisis and the abuse of designer drugs like fentanyl derivatives, synthetic cathinones, and synthetic cannabinoids. The half-day event is being held on June 6 at the University Library in partnership with IUPUI and The George Washington University. It will feature a combination of talks and an interactive forum covering challenges in seized drug analysis and technology solutions that can address the limitations of traditional approaches. Invited speakers Dr. Ira Lurie, The George Washington University, and Dr. John Goodpaster, IUPUI, will share recent work in advancing synthetic drug identification. The meeting will conclude with roundtable discussions of the most persistent challenges in identifying seized drugs, best practices to overcome limitations of current methods, and promising new technology that can improve the accuracy and speed of seized drug analysis. “We’re really excited by the opportunity to assemble forensic thought leaders and experts who are on the frontline in the battle against illegal opioids and designer drugs,” said Ray Himmel, Senior Vice President of Global Sales. Synthetic drugs of abuse have led to thousands of hospitalizations and overdose deaths over the past several years. These compounds enter the United States through a combination of legal herbs and illicitly manufactured drugs. More information about the executive roundtable and registration can be found by visiting https://vuvanalytics.com/emerging-drugs-of-abuse-roundtable. Space is limited, and reservations are prioritized for invited attendees. VUV Analytics manufactures universal vacuum ultraviolet (VUV) spectroscopic detectors that provide a new dimension of chemical analysis accuracy. VUV light creates unique spectral signatures in the gas phase that result in the unambiguous compound identification and quantitative analysis across a wide spectrum of complex applications. Unlike legacy GC detectors, VUV detection delivers scalable data analysis automation with reduced analytical error and higher analytical throughput. For more information, visit www.vuvanalytics.com.